This interesting space contains the main protagonists in the myth of Osiris, the mummy of the Lady of Kemet, canopic jars and some mummified animals. The Egyptians considered death on Earth a temporary interruption, since human beings could live forever. This privilege, which initially applied only to the most important members of society, was gradually extended to everyone in the country. From a ritual perspective, mummification was the process that most influenced the possibility of eternal life. Similarly, the individual had to have a tomb or home for eternity that would hold their mummy, sufficient equipment for their subsistence and an area of worship. However, all of these preparations were for nothing if the soul of the deceased did not receive a favourable judgement from a tribunal presided over by Osiris, the lord of the dead. This judgement assessed the rectitude and virtue of the person. If the decision was favourable, access to immortality was guaranteed. If not, the deceased was guaranteed to die. 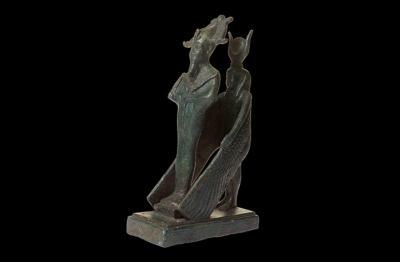 The main protagonists in the myth of Osiris: Isis and Osiris. Bronze. Late Period (715-332 B.C.). Osiris, who was assassinated by his brother Set, would come back to life thanks to his wife Isis, resuscitating the world of the dead. Horus, the son of Isis and Osiris, became their hero. The possibility of life after death embodied in Osiris was the main basis for religious beliefs and funerary practices. Mummy with portrait of El Fayum. Bandages, stucco and wood. Roman period (150-200 A.D.). 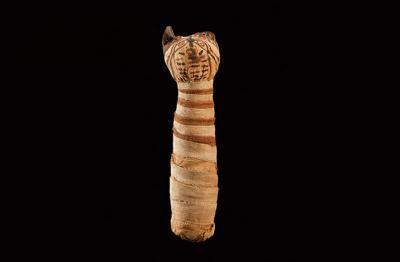 This mummy, which has been renamed the ‘Lady of Kemet’, is a late example of one of the most unique practices of the Egyptians. 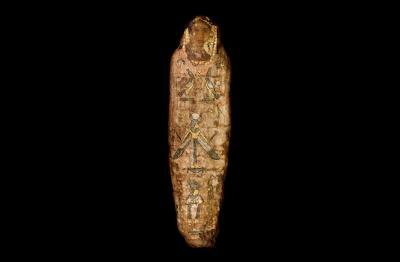 The bandages contain references (in the form of divine representations) to the cycle of death-resurrection-eternal life, the ultimate objective for this mummy. 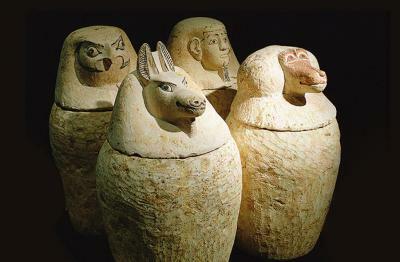 Set of canopic jars. Limestone. 26th Dynasty (664-525 B.C.). Canopic jars were used to hold the internal organs of the deceased extracted during the mummification process. They represented the four sons of Horus and were associated with an organ, a protector divinity and a specific cardinal point. 1. Amset (man) / South / liver / Isis. 2. Hapy (baboon) / North / lungs / Neftis. 3. Duamutef (jackal) / East / stomach / Neith. 4. Quebehsenuf (falcon) / West / intestines / Selquis. 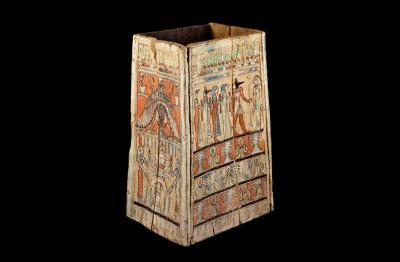 Wooden box used to hold internal organs during the Ptolemaic Period (302-30 B.C.). Richly decorated with religious scenes and motifs, the most notable include various amulets (Udjat eyes, the Djed pillar, the knot of Isis, the Ankh sign of life and the Was sceptre). One can also see a ‘false door’ scene with the owner of the box in front of the four sons of Horus and another with the goddesses Isis and Neftis flank the fetish of Abido, the symbol of the god Osiris. Cat mummy. The Late Period-Ptolemaic Period (715-30 B.C.). As is the case with humans, certain animals were also mummified as they were considered earthly manifestations of gods. In this case, the cat was the sacred animal of the goddess Bastis.